This is “POP or FLOP”, where we taste test sparkling wines so you don’t have to! This week we’ve got Pannier Sélection Brut Champagne in our flutes! Is this a bottle of bubbles you should POP?  Or is it a FLOP?  Let’s see shall we? Pannier Champagne was founded in 1899 by Louis-Eugène Pannier. Pannier cellars are located in ancient stone quarries dating back to the 12th century in the Marne Valley of France (just an hour north east of Paris). There is a carving of an archer in one of the stone cellars, and the Pannier family chose this symbol to put on the emblem of their bottle, adopting the archer’s motto – “aim for perfection”. Pale straw in colour, with a beautiful voluminous perlage – that’s a fancy word for the stream of bubbles! Radiating with beautiful baked notes – warm apple pie, toasty brioche and panettone… mmm! Laced with light fruity notes (pear, bruised apple and lemon zest), and a delicate white flower aroma. A repeat of what we encountered on the nose – fresh baked brioche and apple pastry, with a lingering yeasty citrus finish reminiscent of a lemon tart. Medium bodied with a refreshing mouthfeel and beautiful lively mousse. Lots of minerality but exceptionally well balanced. It’s a POP! Pannier Brut is a wonderful example of a fresh and clean Champagne, as lively as a summers breeze in the French countryside. This Champagne bears an “E.V” sticker on the bottle – meaning it’s been aged for a minimum of 6 years, which contributes to its character and complexity. A beautiful marriage of the classic Champagne blend (Chardonnay, Pinot Noir and Pinot Meunier) we’re dreaming of sipping on these charming bubbles with a fresh baked almond croissant on the left bank in Paris. Hey Buddy!, I found this information for you: "Pannier Sélection E.V. 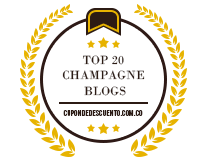 Brut Champagne – Review". Here is the website link: http://sparklingwinos.com/pannier-selection-brut-champagne-review/. Thank you.